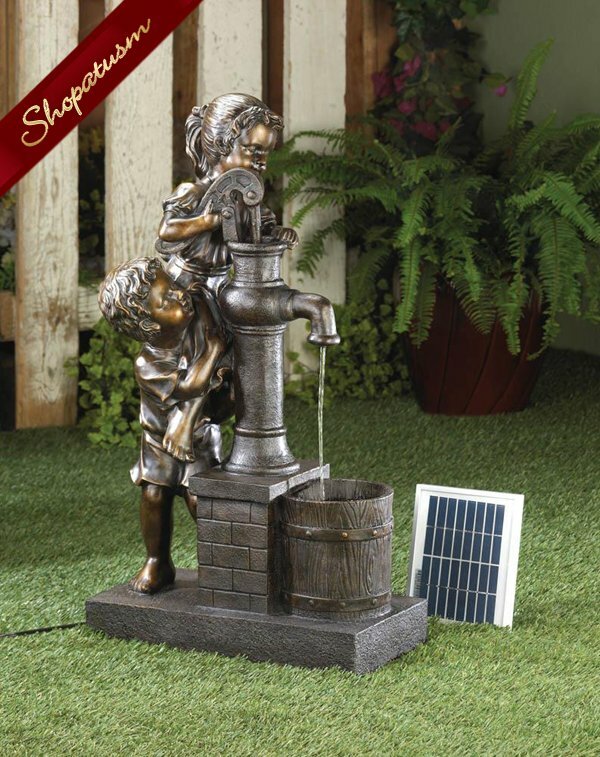 This solar-powered water fountain features two adorable children in cahoots to fill their pail with fresh water straight from the well pump. They are demonstrating the importance of working together while the solar-powered panel makes the water flow all day long. Solar panel, pump and electrical adapter included. Resin. Measurements: 15.8" x 8.75" x 28.8". Weight: 16.6 pounds.